"Paris Airtrader," N1556V, is see on the DEW line in the 1950's. Landings were made on frozen lakes. 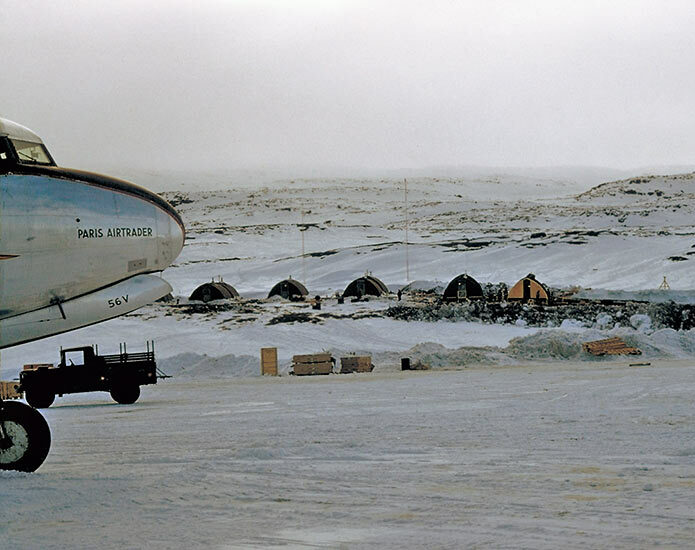 Operations on the DEW Line, including unloading and maintenance, could be extremely difficult.